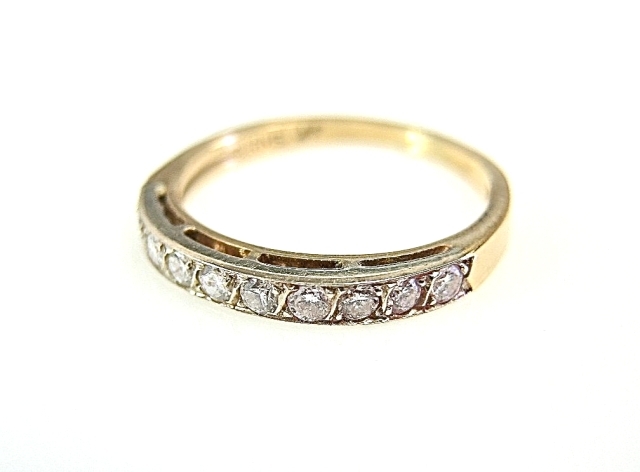 14kt yellow and white gold ring with 10 bead-set round brilliant cut diamonds, est. 0.36ct. (clarity:VS-SI & colour:G-H).See JRD78665. it's matching engagement ring.